Hydraulophones and the "States of H2Orchestra"
H2Orchestra (our full name is "States of H2Orchestra") was born when the sounds of liquid flowing through valves inspired H2Orchestra member S. Mann to invent the hydraulophone in the early 1980s. 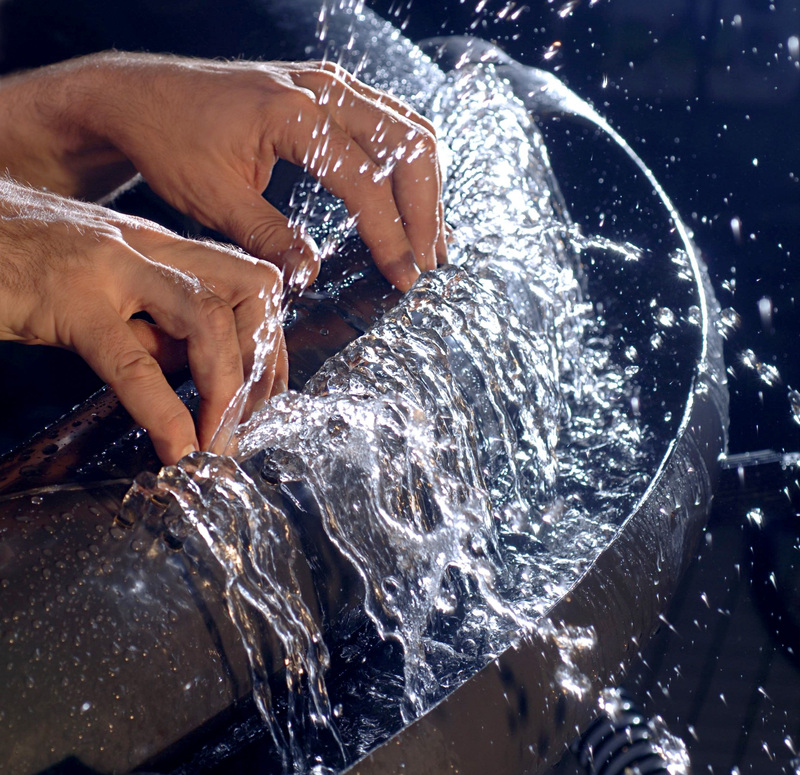 Although water has been used to make music for many centuries, (ancient Greek and Roman water organs, Handel's water music, etc. ), the hydraulophone is the first musical instrument to make musical notes directly from the sounds of water. 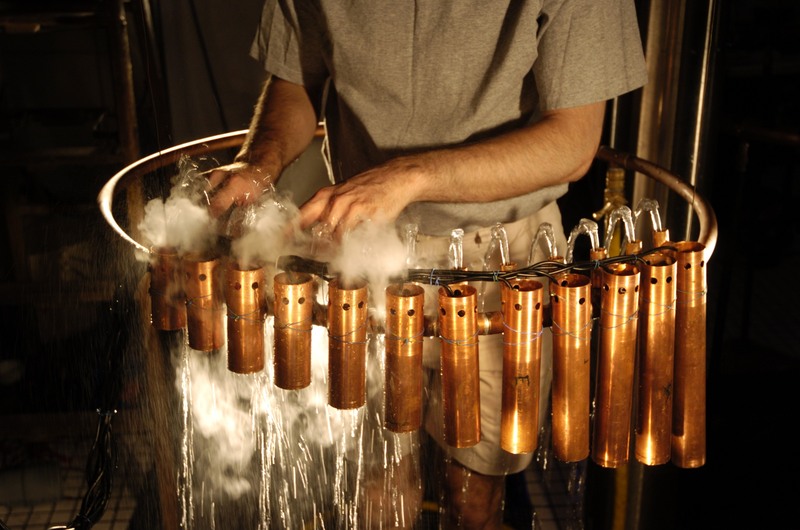 The water organ and hydraulis of ancient times made sound from air, using water merely as a source of power to push air across a fipple mechanism or through some other kind of aerophone. 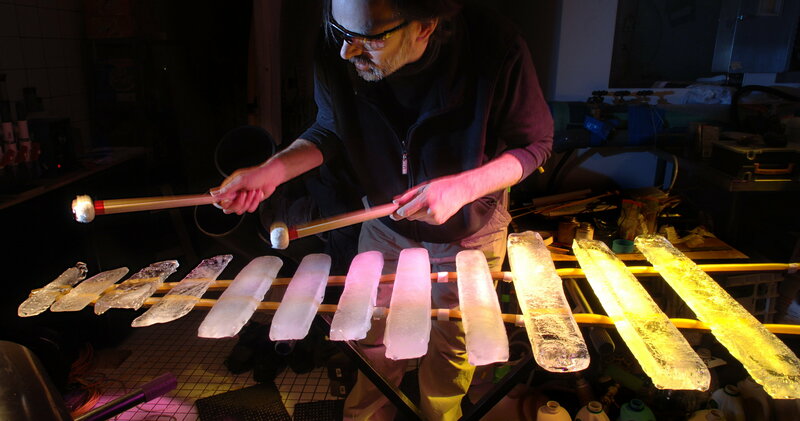 H2Orchestra uses hydraulophones, which are instruments in which the sound originates from turbulence and vortex-shedding phenomena of water itself. Dihydrogen monoxide (H2O) actually exists in various other states-of-matter or phases, such as ice (solid), and steam (vapour, gas). Underwater Plasma "H2O" represents "Fire".